Kids LOVE to be messy and to make messes. 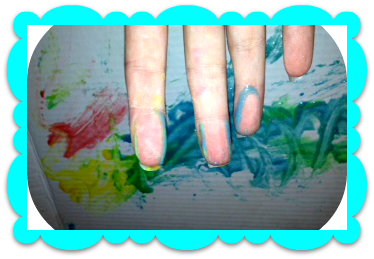 I think that’s why finger painting is so popular with the littles. It’s fun, colorful and they can do it by themselves. Like all new things toddlers explore, it usually ends up in their mouth. This is why I am not a huge fan of store bought finger paints. Though they are non-toxic who really knows what’s in that stuff. So I decided to make our own and you can too. It’s so cheap and easy. Mix the flour, salt and water together in a medium size bowl. Divide into smaller containers and add coloring of your choice. Stir well. Mixture will be a little thick and grainy. Let sit for 10-15 minutes and it’s ready to go. 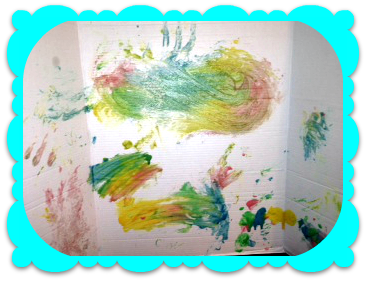 Your kids will have so much fun expressing their creativity and painter skills. As an added bonus these super cool finger paints don’t stain. Cleanup is a breeze. Just rinse with water. The salt traps the color so it won’t transfer onto clothing or skin. Genius right? Painting isn’t just for your fingers. Get your toes involved also. It’s important for kids of all ages to use their senses. It’s how they learn. 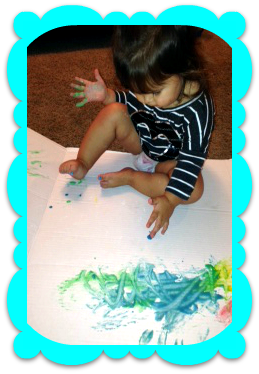 This finger paint does exactly that. The colors, the smell, and the texture will have their brains beaming. 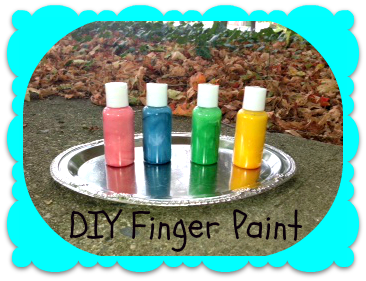 Kids that are a little bit older can even help make the finger paint. This is great for teaching them to follow a recipe and the importance of accuracy. So many possibilities with such a simple activity. 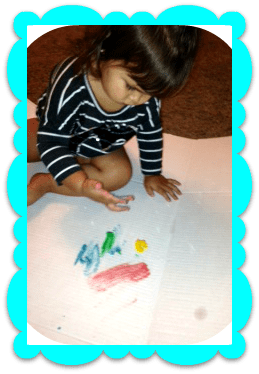 Making your own paints is perfect for interacting with your little one or for independent play time. Either way, you are sure to be the hero of the house. Since clean up is easy, this activity can be done day after day. Or bring out to take away the rainy day blues. Most importantly have fun and get messy! !